The India-Pakistan slugfest over Kashmir is nothing new, either in terms of intensity of vitriol or in terms of the issues raised. Enough of opinions on the mutual grandstanding by the two nuclear armed South Asian neighbours. The question remains: What should be India’s strategy to deal with Pakistan? 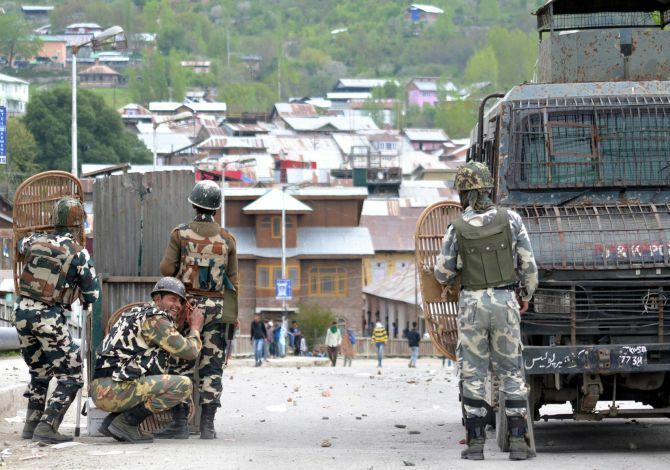 N A Prasad, a senior Research and Analysis Wing officer who recently retired as additional secretary in the Cabinet Secretariat, spoke to Rajeev Sharma about how to deal with Pakistan and the ongoing crisis in Kashmir. How should India deal with Pakistan? First of all, India must recognise that it is not worth to nurture any pretensions of ‘reasonableness’ of the Pakistani establishment to negotiate a settlement other than full transfer of the Kashmir valley. Their policy will not change for another two to three generations, at least until the retirement of the ‘crop’ of army personnel recruited during and before General Zia-ul Haq’s presidency. Hence, the Indian government should not feel compelled to get into any kind of political negotiations until Islamabad demonstrates its ‘reasonableness’ and stops exporting terrorism. Where do you see Jammu and Kashmir in all this? New Delhi shall have a consistent dialogue with all shades of opinion in Jammu and Kashmir. The Kashmir problem can’t be termed as a sole creation of Pakistan. There is no doubt of New Delhi’s mishandling of the situation for a long time. It is a border state and should be handled a little more delicately. It is fine to imprison some Hurriyat leaders belonging to Syed Ali Shah Geelani’s group as there is enough proof of seditious activities carried out under the guidance and financial support of Pakistan. No tears would be shed for them by most Kashmiris who want to live in peace and development. 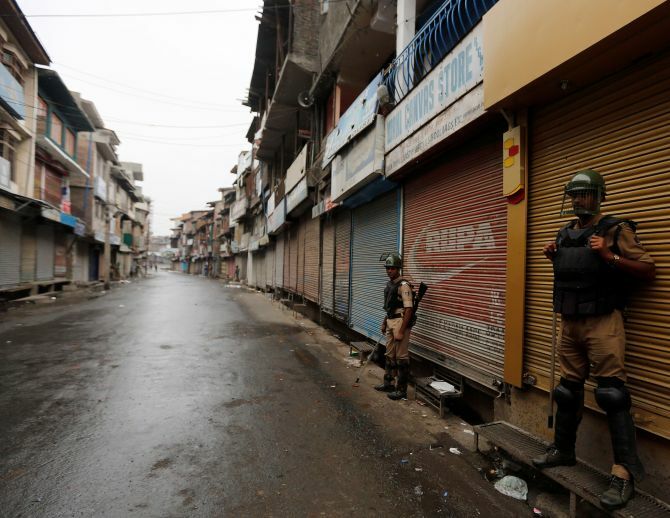 Your views on the current crisis in Jammu and Kashmir which has been under curfew for over 40 days and the high number of civilian casualties. Civilian casualties are something that could change the mood overnight, and therefore should be avoided by every means. One should not get into working a ‘package’ for Jammu and Kashmir as some of the issues could not be resolved (by it) and hence would hold back other positive actions. Get some of the ‘do-ables’ done right away and others can be negotiated at leisure. The coalition government of the Peoples Democratic Party and Bharatiya Janata Party should demonstrate that they are alive to the aspirations of the people of the three regions of the state and could fulfil them. Such genuine dialogue between Delhi and J&K would be appreciated by the international community and would silence the Pakistani establishment as any of their tricks could further damage their reputation. 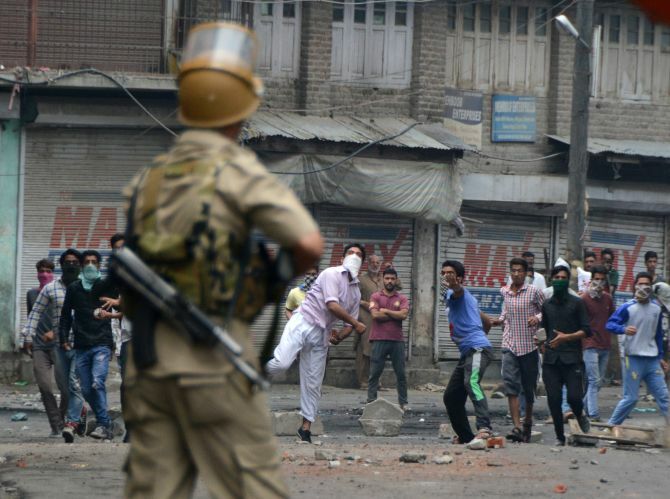 What should be India’s strategy in dealing with the crisis in Jammu and Kashmir? India should maintain that Pakistan has no role at all in Kashmir affairs, and, hence, it would not negotiate with it on this issue. If there is no let up in its export of terrorism across the border, there must be well deliberated retaliation — both diplomatically and militarily. Each action of Pakistan should be well documented and publicised before any retaliatory counter action is taken. Consistent policy of talks with the Kashmiris and a stick for the Pakistanis would prove effective and productive in the long run. In a first, Prime Minister Narendra Modi raised the Balochistan issue in his Independence Day speech. Is it a good strategy? India is within its right to expose Pakistan of its dirty tricks and parade its atrocities, both in Balochistan and Kashmir, relentlessly and consistently. Pakistan will up its ante to claim that they are vindicated by the statements of Modi and other leaders about Indian involvement in Baloch terrorism. The next few weeks will see its diplomatic offensive in international capitals to present another so-called ‘proof’ of Indian interference. Evidently, Pakistan is going to ratchet up Modi’s Balochistan remarks before the international community in coming weeks, particularly before the United Nations General Assembly session which begins on September 13. The Indian bureaucracy and political leadership are prone to collapse under a Pakistani diplomatic offensive. There is absolutely no need to lose one’s nerve over their propaganda. New Delhi should be ready for a quiet but effective counter-diplomacy. There are tonnes of reports of atrocities committed by Pakistani security forces in Balochistan and Pakistan occupied Kashmir, no less than what they did in the then East Pakistan. The ministry of external affairs may set up a special cell to compile data on a regular basis and circulate among concerned interested parties, particularly the UN, the United States, the United Kingdom, the European Union, Organisation of African Unity, and the Arab League etc. Indian intentions must be made very clear that we had no interest in interfering in Pakistani affairs, but were compelled to highlight the issues as the international community is not doing enough to force Pakistan to stop supporting terrorism. The same message should go to saner voices in Pakistan. Will the Baloch leaders actually follow the Indian line or will they chart their own course? While the rebel leaders of Balochistan and PoK would welcome Indian support to highlight atrocities committed against them by security forces, they might be sceptical of New Delhi’s interest to sustain the pressure. They are quite aware of the ‘flip-flop’ in India’s policies. 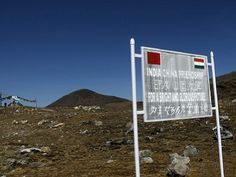 India, therefore, needs to give them enough confidence that its political support would be unwavering and consistent. This has to be practically demonstrated in all international fora. The US, the UK and the EU are likely to question India’s change of policy and threaten consequences. They need to be clearly told that if they are ‘good friends’, get Pakistan to stop exporting terrorism into India and wind up terrorist bases in PoK and other parts of their country. There cannot be one policy for Pakistan and another for India.